When we think bubbly we usually mentally head to Champagne. Or maybe you pop Prosecco or Cava, which have also become popular and tend to cost less (a lot less). But American sparklers don’t get the same love. Not sure why, since there are so many great ones. Maybe we need a cool name to call them other than just generic “sparkling wine” – Fireworks or something fun. Many American sparklers are made in the Champagne method (often called méthode traditionnelle or traditional method to us Americans), which means that the second fermentation – the one that retains the bubbles – happens in the bottle. They aren’t all as elegant as the great Champagnes, but you still get fantastic flavors and good acidity without spending triple digits. Whenever people go to Napa they always send me pictures from Mumm, so I guess it’s a good winery to visit and is also pretty beautiful (remember grapenut’s photo journal?). It’s in Rutherford and they make a ton of different kinds of sparkling wines. Try: Brut Prestige, $20. All the grapes for this were picked at night and early morning totally by hand – that’s to keep the grapes’ acidity which is curcial for sparkling wines. It’s 45% Pinot Noir, 47% Chardonnay, 5% Pinot Meunier, 3% Pinot Gris and 100% yummy. I’ve never had a Domaine Carneros sparkler I didn’t love. 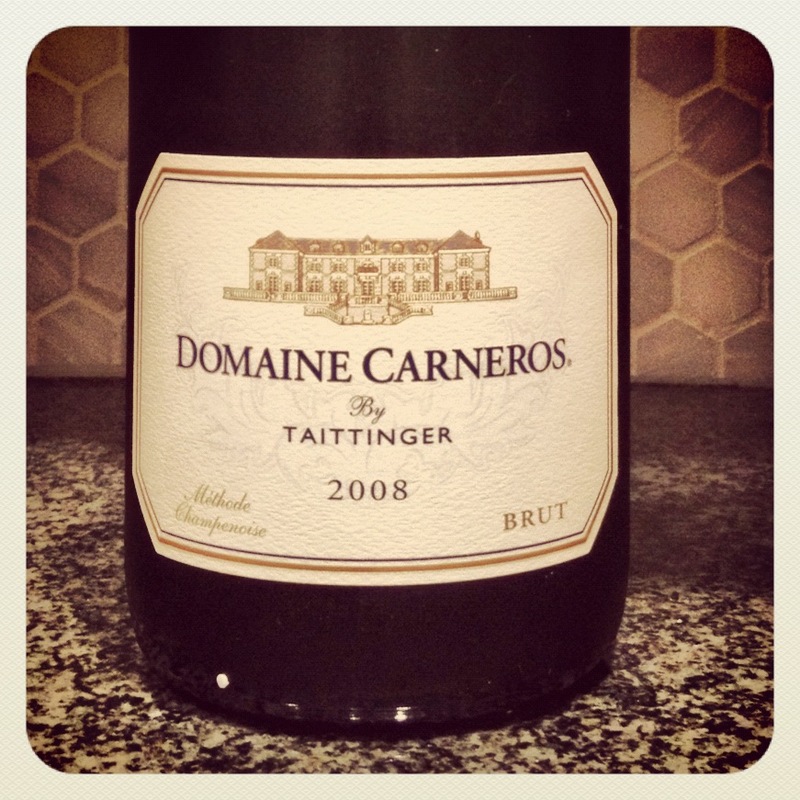 My mom probably loves Champagne more than I do – her favorite is Taittinger, so it’s not surprising that she loves Domaine Carneros too since it was founded by Taittinger in 1987. The Carneros region is known for killer Chardonnay and Pinot Noir – two of the main grapes in Champagne – so obviously DC rocks its bubbly. Try: 2008 Brut Sparkling cuvée, $26. Delicious yellow apple flavor, and possibly the tiniest and finest bubbles of all the American sparklers I had. J Vineyards is in the Russian River Valley and just celebrated their 25th anniversary. It has a fantastic reputation (someone recently told me it’s their favorite American sparkling producer) largely due to their really elegant sparkling wine. 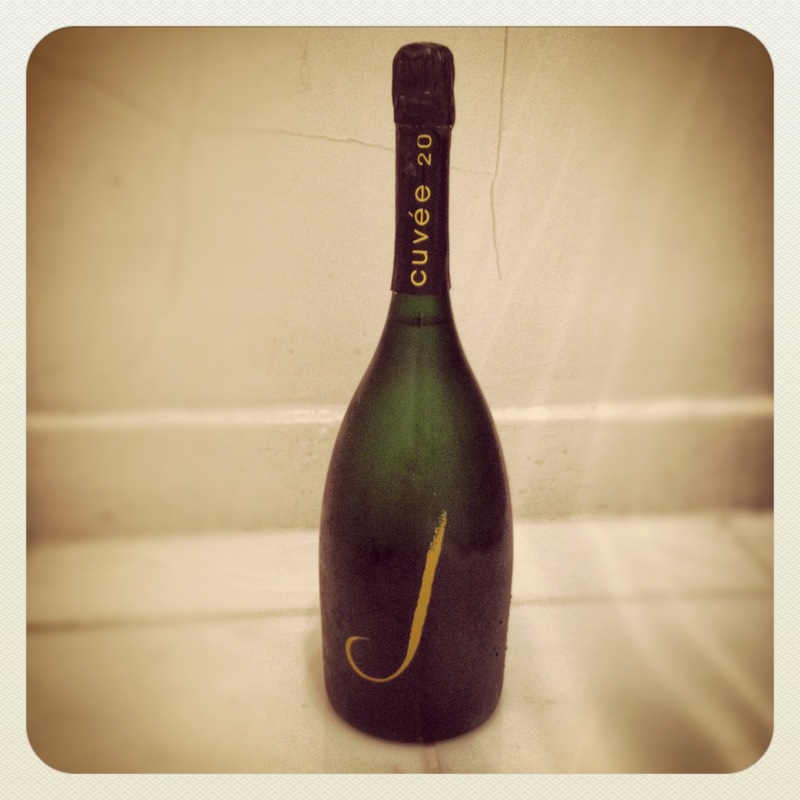 Try: J Cuvée 20 Brut, $26. Yellow apple, and that great toasty brioche flavor and aroma you get from Champagne. Blanc de Blancs was the first wine Schramsberg produced in 1965. It got some major attention in 1972 when President Nixon served it at the at the “Toast to Peace” State dinner for the Premier Chou En-lai in Beijing, China – the first time any American wine was ever served at a White House or State event! Try: Blanc de Blancs, $37. Has lots of tart green apple that’s great with food, especially something creamy that the bubbles just will slice right through. 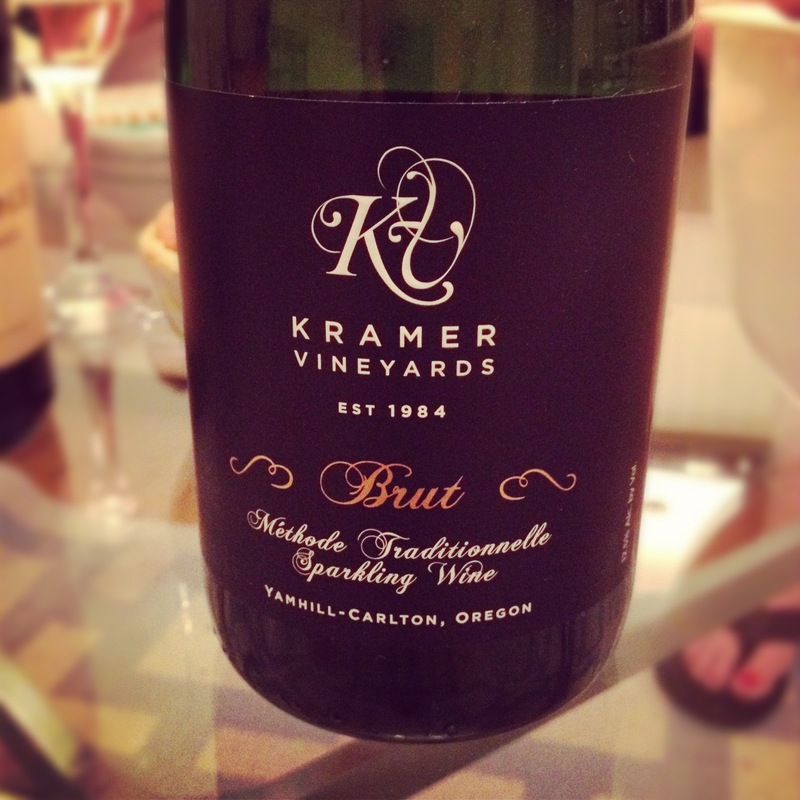 This is a way lesser-known producer from Oregon, but their Brut is really good! I have a lot of wine friends on social media networks, and this turned out to be one of their family’s wineries. Becky Kramer and her just-turned-fiancé Beau post some great wine to my “What I’m Drinking” Pinterest board and make me jealous. This is the producer from the North Fork of Long Island who I told you about during Green Week (they’re leading the Long Island Sustainable Winegrowing program). They make great wines with cool labels by local artists (the Blanc de Blancs one’s by April Gornik). Try: 2007 Bedell Blanc de Blancs, $48. 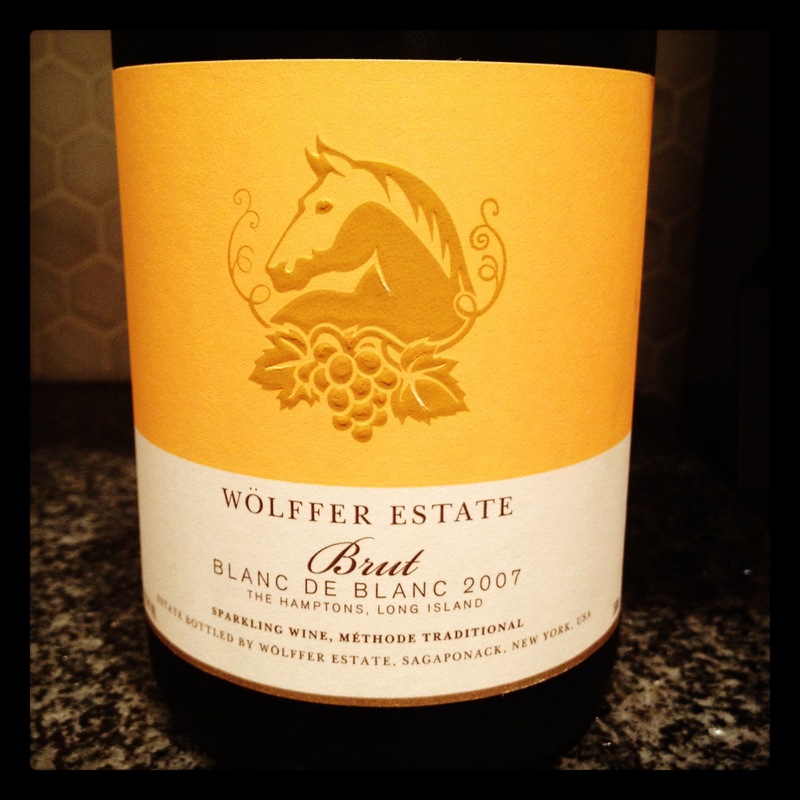 I love their Blanc de Blancs – a smoky, minerally smell on the open, with medium ripe peach and yellow apple flavors. Good, delicate bubbles too. 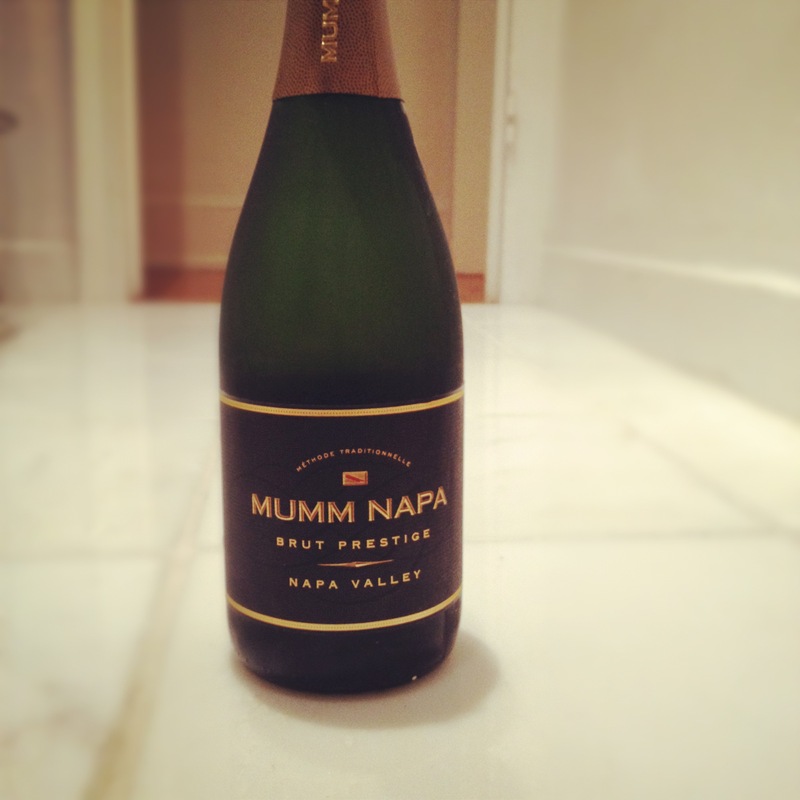 FYI, it was named Best Sparkling Wine in New York State last year – holla. They’re based in Green Valley which is in the Russian River Valley which is in Sonoma. 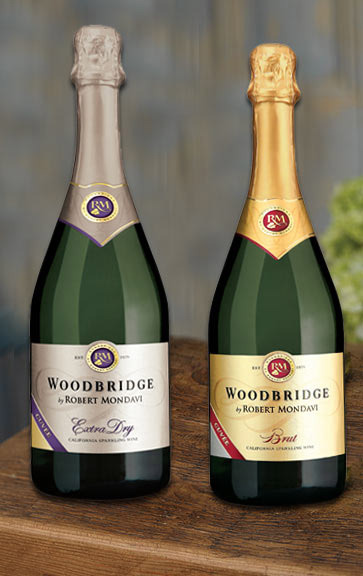 I’ve written about them many times on grapefriend – I think their sparkling wines are amaaaazing. They do a lot of fun special editions like the Ocean Reserve I told you about and also a Golden Gate Cuvée, a vintage rosé to commemorate the 75th anniversary of the Golden Gate Bridge (Iron Horse co-founder Audrey Sterling walked accross the bridge on its opening day with her dad when she was 6!). Also, Joy the CEO is so sweet, I just love great people who make great wine. This is the entry-level line from Robert Mondavi. They call it “the perfect sparkling wine for celebrating the joy of everyday” – how can grapefriend not be down with that? Try: Brut Sparkling, $10. It’s all Chardonnay and made in the Charmat method, which basically means it gets fermented in tanks rather than in the bottle (and is therefore less expensive). I gotta say, for 10 bucks you can’t go too wrong. Try: 2007 Blanc de Blancs, $35. It’s 100% Chardonnay from their oldest vineyard, with some lovely peachy-apricoty flavors. Tags: bedell, champagne, chardonnay, domaine carneros, iron horse, j, kramer, mondavi, mumm, pinot noir, Prosecco, schramsberg, sparkling wine, taittinger, Wolffer. Bookmark the permalink. 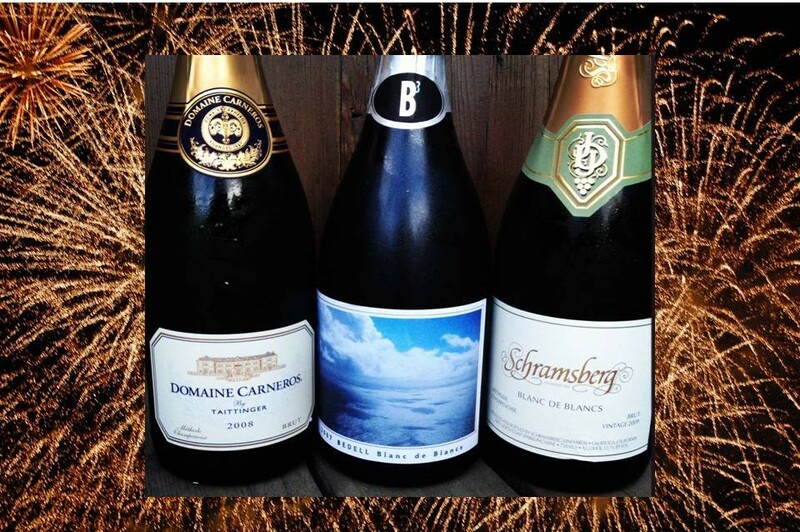 Thank you for the lovely & elegant review on our J Cuvée 20 sparkling wine, fun article, and perfect for 4th of July plans for celebrating with family & friends! All of us at J wish you a sparkling 4th of July, cheers! Aww, thanks – have a great 4th! I’m sure you’ll be popping lots of bottles.